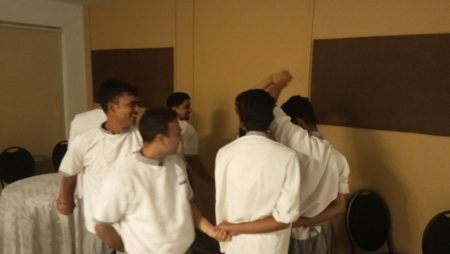 We have between 50-100 staff members working at any given time at the Evoma Hotel and OMR Business Center in KR Puram, Bangalore. This human resource is our key asset, more than the hotel, restaurants, office space and event venues all put together. How do you look after your human resources, and make sure they’re happy with their position and work environment? Apart from keeping the door open for anyone who wants to talk, we engage with staff in a variety of ways. These are some employee engagement tips that will help you combine leisure activities for employees with more productivity, business and branding for your organization. 1. Weekly or monthly office lunches. The single most effective tip for employee engagement you can do is to have lunch with them as often as you can. It won’t be possible to have working lunches with all of them, but it’s very effective in building a working relationship. The best way to make use of this is to have group lunches on a regular basis with your staff – maybe once a week or at least once in a month. If there are too many people for a group lunch, you can divide them into groups and have lunch once a week with each group. 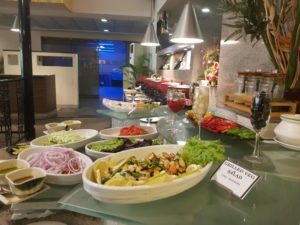 Corporate lunch menu at Evoma Hotel, Bangalore. 2. Celebrate birthdays, weddings and anniversaries. Another great way to engage with employees is to make it a practice to have a small party at the end of the day for birthdays, weddings and anniversaries. You won’t get together for cake, snacks and drinks without a reason. But if there’s a birthday every other day, it becomes a kind of tradition to enjoy a party and talk as a group in this way. 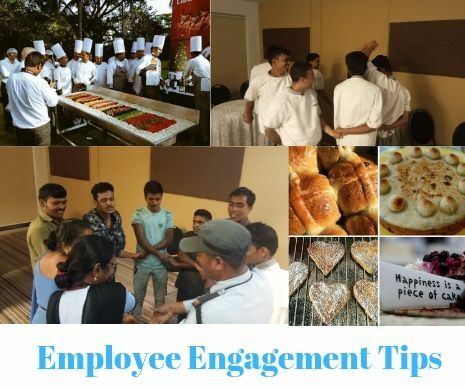 The same can apply for weddings, anniversaries and other such occasions where everyone joins the celebration of each employee’s happy moments. 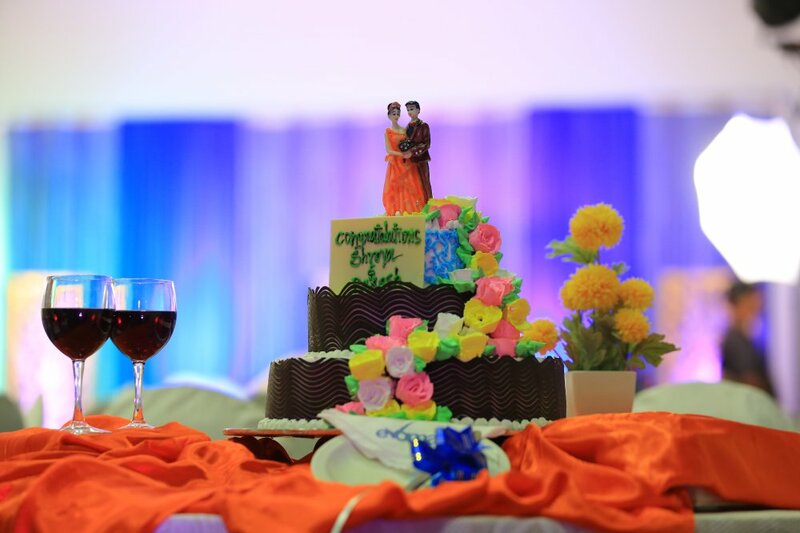 Birthday Parties and Weddings at Evoma Hotel, Bangalore. 3. Celebrate holidays and festivals. We gather as a single and unified Evoma Team to celebrate almost every public holiday and major festival. 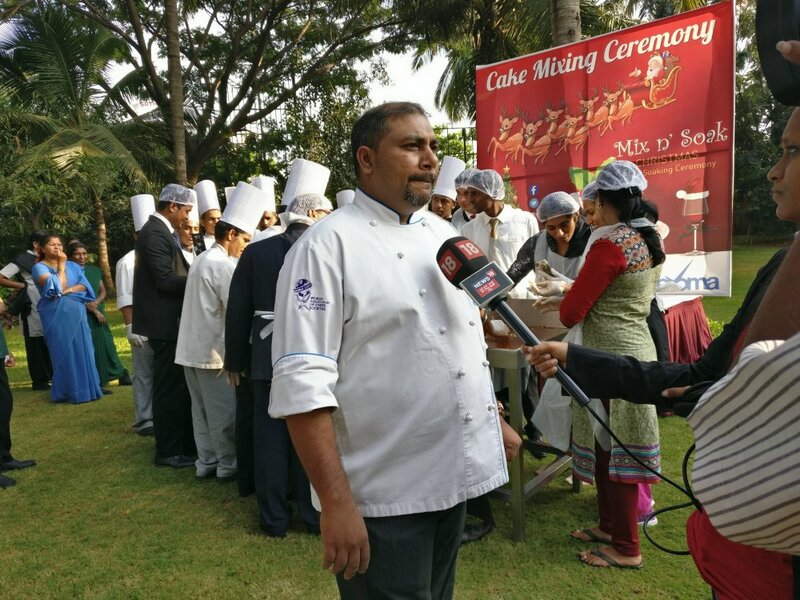 Flag hoisting on Republic Day and Independence Day; puja and sweet boxes for everyone on religious holidays such as Vinayaka Chaturthi, Durga Puja, Diwali and Varamahalakshmi; and our famous annual 300kg-cake mixing ceremony before Christmas. 4. Team building exercises and outings. Evoma being a corporate event venue and resort makes it ideal for team outings and corporate retreats. So we have own team building exercises regularly, and everyone participates. Unlike fire drills, these team get-togethers are a whole lot of fun and we get to know everyone a lot better. 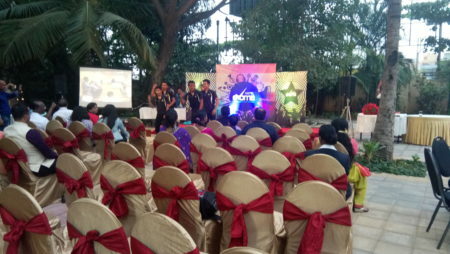 Outdoor team building outings at Evoma Hotel, Bangalore. 5. Health camps, volunterism and CSR. We’re very enthusiastic about CSR, and not just because it’s good business. Evoma and all our employees are actually out front and center for any charitable events that come our way. 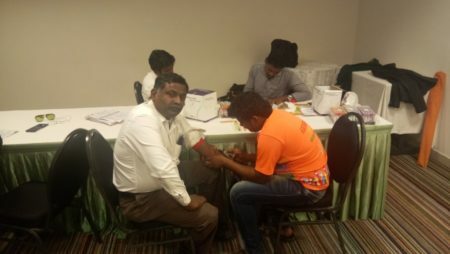 Blood Donation camps, educational symposiums, and donation of left-over food are some of the things we do here at Evoma. We also set up medical camps to provide free health and eye checkups for everyone. Charitable event looking for venue? Evoma Hotel, Bangalore. 6. Group entertainment and musical programs by employees. We have an outdoor poolside venue where weddings and parties are held. There are DJs and rock bands that play regularly during these events and holiday parties such as New Year’s Eve. We make use of it to offer our employees their 15 minutes of fame to show off their musical talent. Everyone has a good time, and it makes for wonderful employee engagement. Poolside rock music and parties at Evoma Hotel, Bangalore. 7. Offer referral bonuses to employees. Many of our employees and former employees continue to bring Evoma new business because we provide referral bonuses. They know the Evoma facilities are good, so when someone needs an office or event space, we’re the first name that comes to mind. It doesn’t happen by itself – you have to talk to your employees and encourage them to refer their friends, family and neighbors and collect the referral bonus.